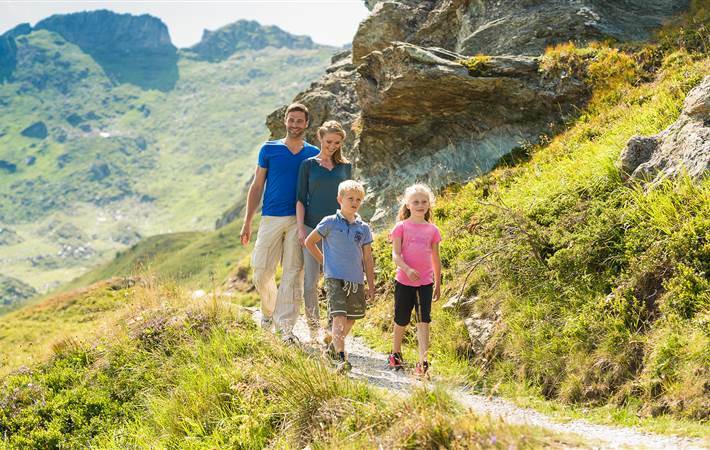 A holiday in the holiday and spa region Gastein Valley does the trick. 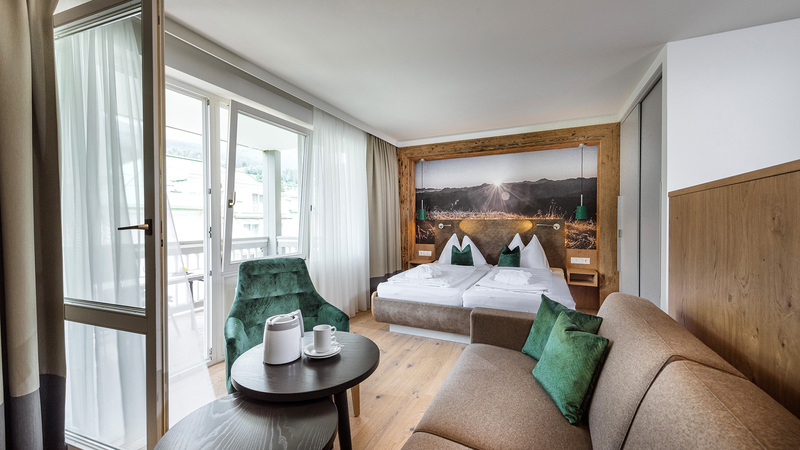 With the Gastein mountain world and the national park Hohe Tauern as a backdrop, surrounded by a unique natural landscape of the Gastein Valley, you will spend especially relaxing holidays and health stays. 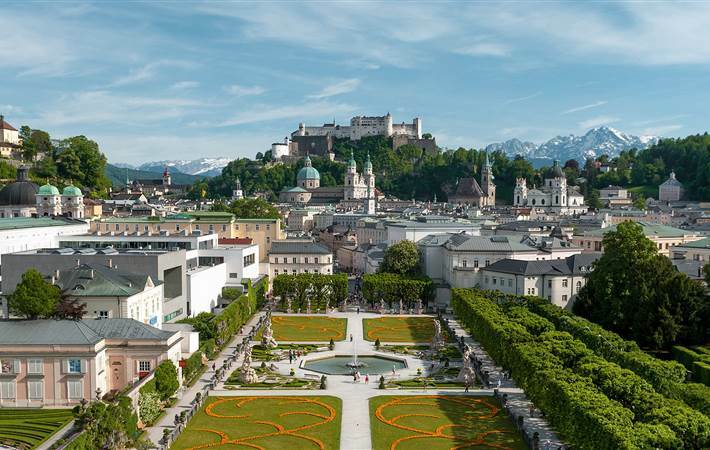 Here, in the middle of the Salzburger Land, you can look forward to carefree days and leave everyday life far behind you. This sounds good to you? 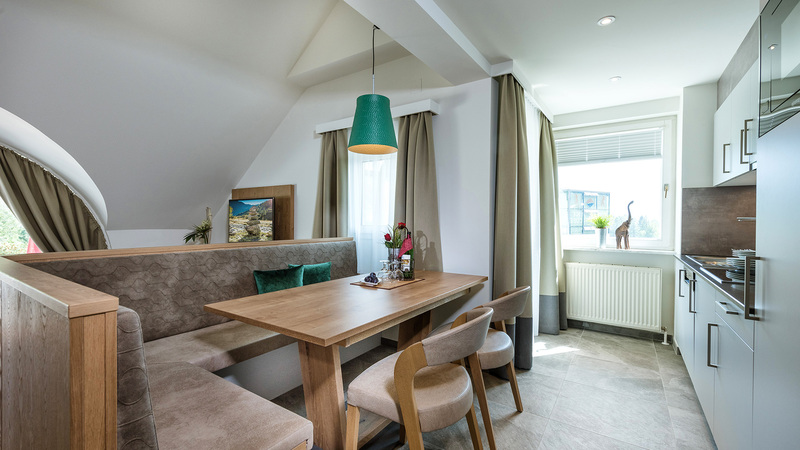 Then choose the Thermenappartements of our Kurparkhotel in Bad Hofgastein to be your holiday home - the perfect accommodation for self-catering guests and all those who love it casually and cosily. 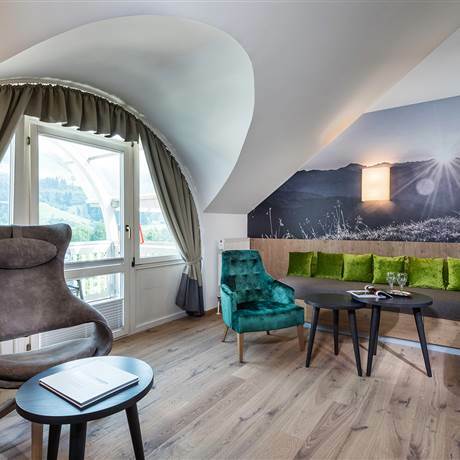 The apartment complex of the Kurparkhotel lies next to the Kurpark in the centre of Bad Hofgastein, right next to the Alpentherme Gastein with its thermal swimming lakes. A heated underground passage connects the apartment building with the Alpentherme. Also, nearby and reachable by foot: the Schlossalmbahn that opens up one of the most beautiful ski regions of the Gastein Valley. 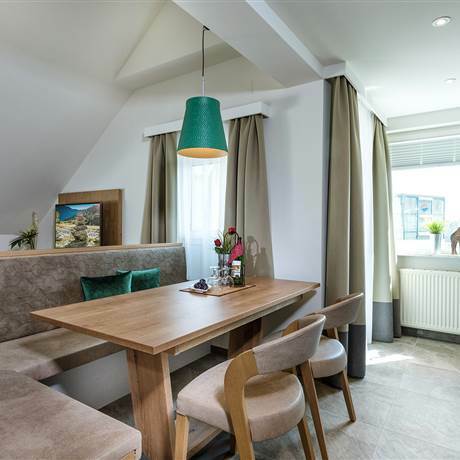 The Thermenappartements are very spacious and offer much space and modern comfort to two to eight persons. 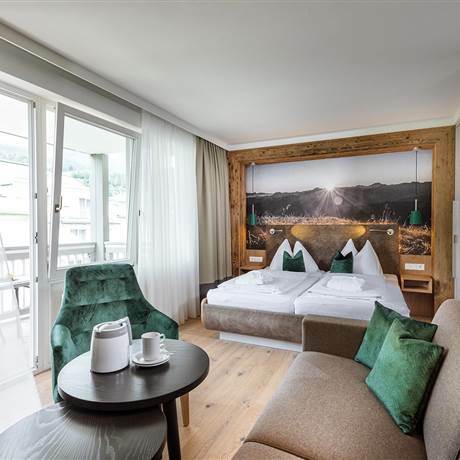 They are comfortably furnished in the alpine style of the Salzburger Land - much wood, tastefully matched fabrics and top modern bathrooms and kitchens dominate the atmosphere. There is also a garage at the aparthotel. 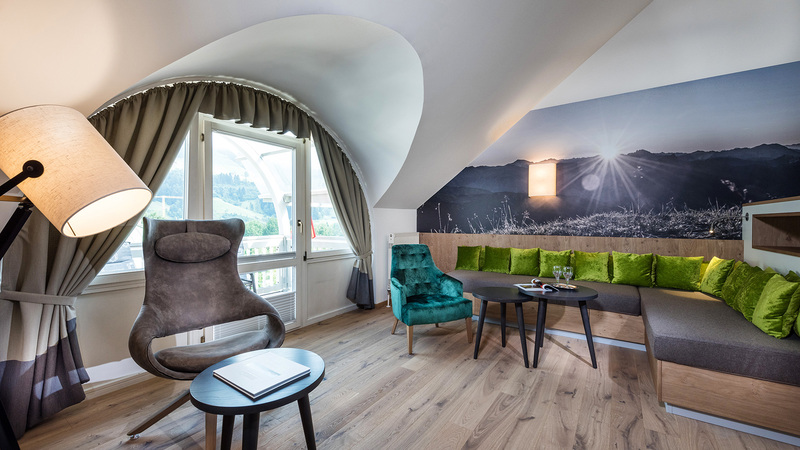 From the apartments, you will not only get to the adjacent Alpentherme Gastein in no time - free entry included. You will also start all your holiday activities from your holiday home - in the winter as well as in the summer. 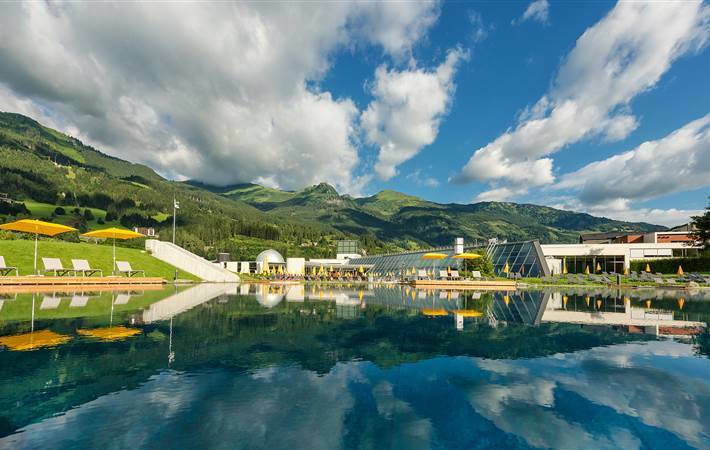 Also, all health resorts such as the world-famous Heilstollen Gastein and the Kurzentrum are reachable in only a few minutes. 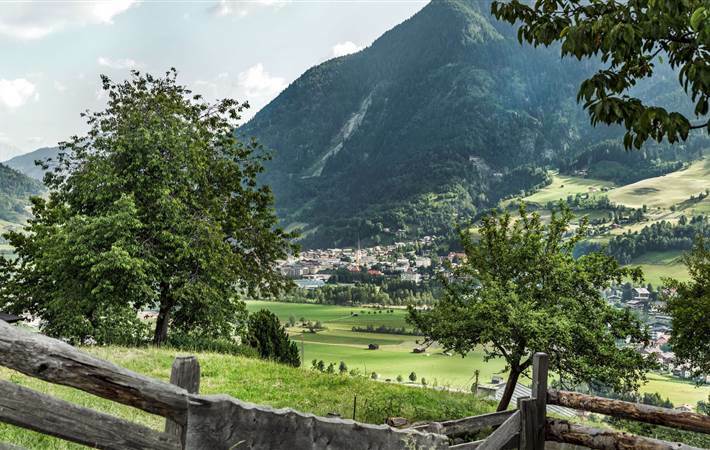 We will be happy to help you with further information on the Thermenappartements in Bad Hofgastein in the Gastein Valley. Holidays, thermal bath stay or convalescence - in our holiday homes in a premium location you and your family will feel comfortable!